Stay close to your dogs so that you can control them Now that you have the run down on pet politics, it’s time to discover some local parks! This giant five acre fenced area in North Waterloo is located at the corner of Bridge St and University Ave. It is open from sunrise to sunset and there is public parking on site. McLennan Park is a massive 39 acre park with tons of different activities. Within the park, close to the woodlot, you will find their leash-free enclosed area. 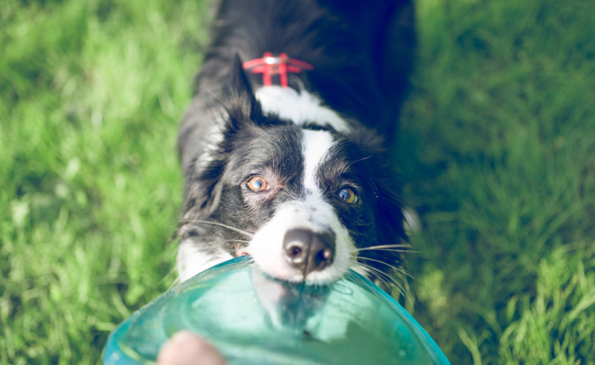 Please note that the dog park is closed for maintenance every Tuesday from 10am – 2pm. In addition to the famous lake-like pool in Kiwanis Park, they also offer a leash-free dog enclosure about 1 km from the pool and parking area. There is also easy access to the Walter Bean trail and Grand River if you’d prefer to take a scenic stroll with your pup on a leash. And remember, our Pet Photo Contest ends on Sunday so you only have 3 more days to snap some prize worthy pet pics! Winners to be announced Tuesday June 7th.